How do I view my shifts? 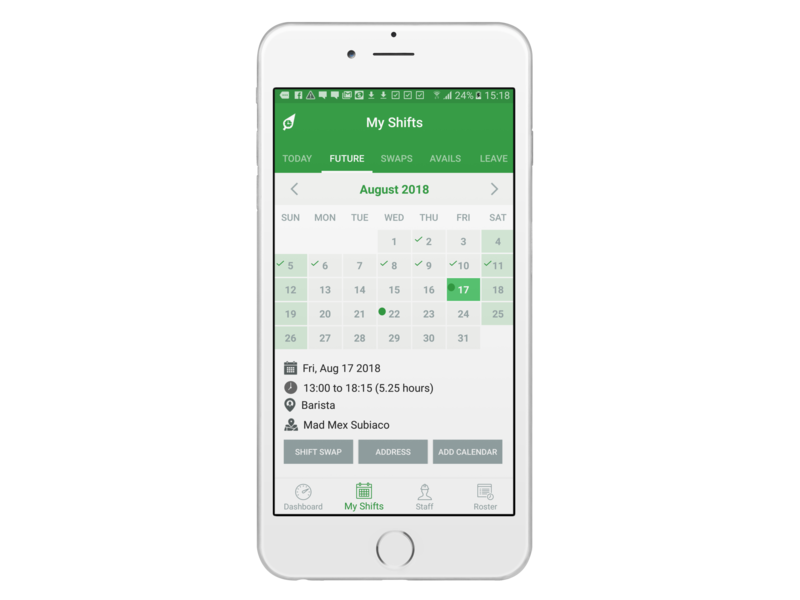 The "Future" tab of the "My Shifts" section gives employees a complete overview all all future shifts. Dates with green ticks indicate shifts in the past. Dates with green dots indicate future shifts. 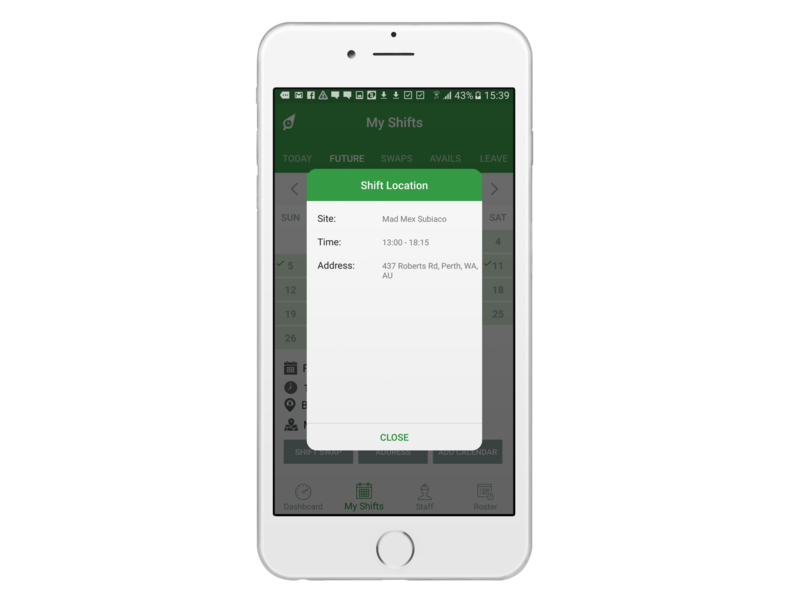 Employees simply need to click on a day to review full information regarding the upcoming shift. 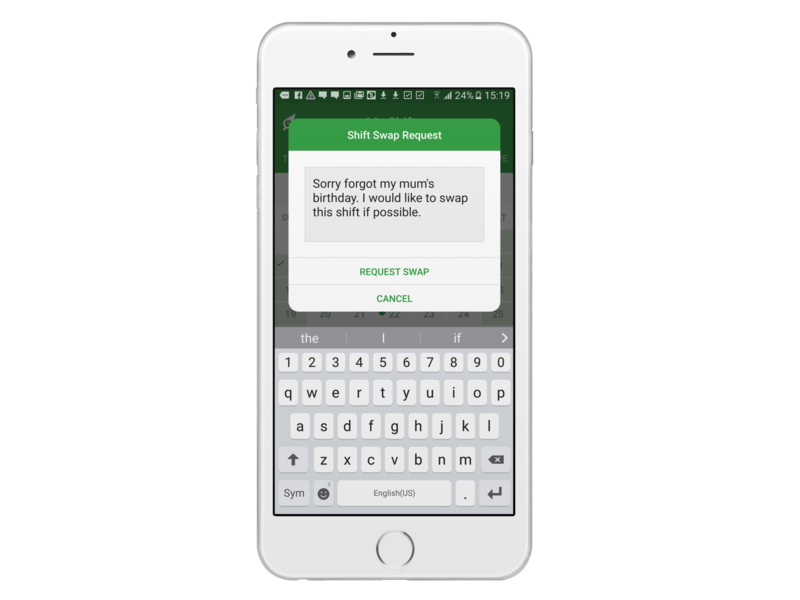 If an employee has an issue being able to work any of their future shifts, up to 48 hours prior to their shift they can request a shift swap by clicking the shift swap button. A window will appear where the employee will be prompted to leave a reason for the request. Employee is going to a new location? No problems, staff just need to click the "Address" button and they will be given the address of the shift. Even better, if employees click in the address in this model window, they will redirect them to maps to get directions on how to get there. 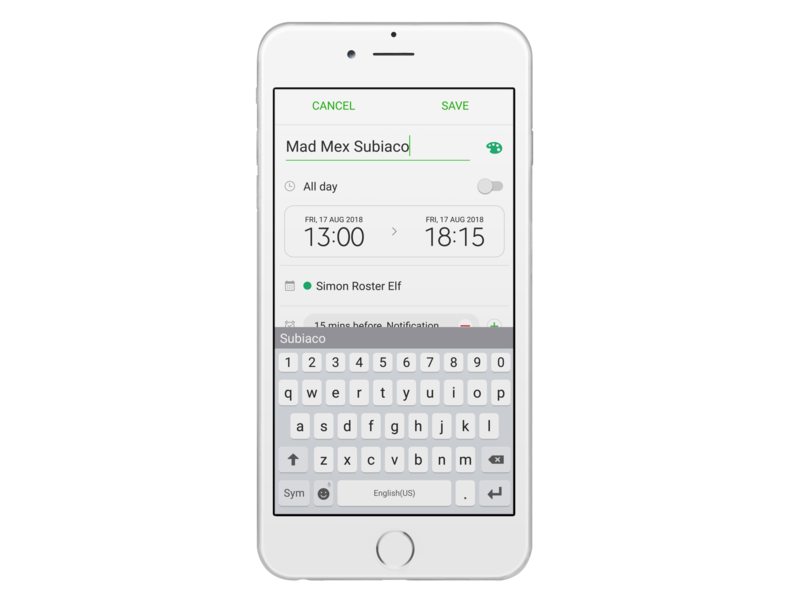 If employees want to add shifts to their calendar, they simply need to click "Add Calendar" button and they will be prompted to add the event into their smartphone calendar.